Book, product review policy: You can find over 500 recipes, most of which are my own, here on my blog. I periodically write about some of my travels with my family. Most of my product reviews are very pertinent to my blog and my cooking philosophy. They tend to be cooking ingredients and cooking products. I also review cookbooks from time to time, again, as long as it fits my blog. I focus on real meals, mostly unprocessed, from all around the globe. I will not accept goods in exchange for a guaranteed review. If I mention a company, event or product, it’s because I like it, have used it myself, and truly believe in it. I do not like to fill my blog with product reviews, so I am very particular about what I choose. I do like to share what I love on social media on a regular basis. Recipe Development: I thoroughly enjoy getting down and dirty in the kitchen, creating new recipes. Some companies I have developed recipes for include: Sun-Maid Raisins, Newman’s Own, Heartland Pasta, Davidson’s Safest Choice Eggs, The Mushroom Channel, POM Wonderful, California Avocado Commission, New Belguim Brewing Company, Frieda’s Produce and Idaho Potato Commission. 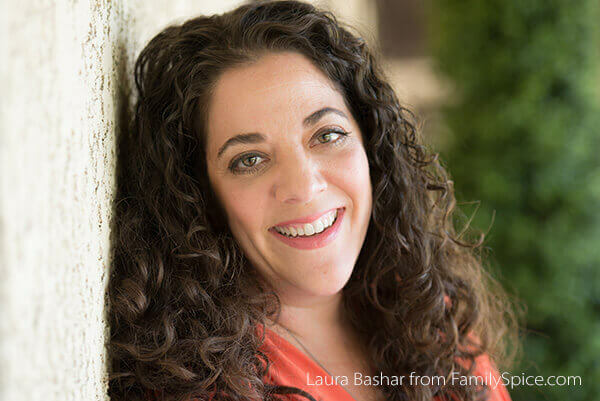 My recipes and photographs have been published in multiple websites including The Huffington Post, Yahoo Shine, BlogHer, PBS Parents Kitchen Explorers, Katie Brown Home Workshop, Frieda’s Produce, Newman’s Own and Davidson’s Safest Choice Eggs, to name a few. I have also appeared on Fox 5 San Diego’s Morning Show. Olive Oil Cookbook: I am also an award-winning cookbook author! The need to create runs very strong in me, and I collaborated with fellow food blogger, Mary Platis (California Greek Girl), to write and photograph our first cookbook, Cooking Techniques with Olive Oil. Our ebook received the Gold medal winner of the Global Ebook Award from Dan Poynter. The response was so positive that we were encouraged to bring our book to print. And we did. Mary and I have self-published our own 132-page hardback cookbook. We added more information, more recipes and more photographs! My graphic design background came in handy as I did all the photography and book design myself. You can purchase our book here. Outdoor Cooking Cookbook: Because we are a camping family, I found myself cooking outdoors all the time. My husband and I brought gourmet meals to our campfire cooking, as well as to our scouting families. 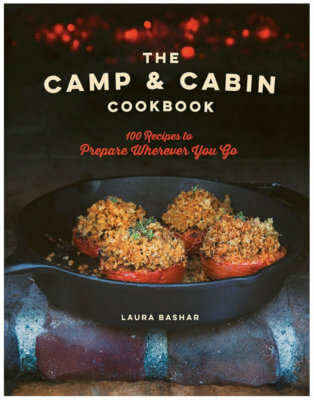 This passion for preparing fabulous meals over the fire inspired my second cookbook, The Camp and Cabin Cookbook (summer 2018 Countryman Press). I created and photographed over 100 recipes that you can prepare outdoors over fire using a number of different techniques: grilling, foil cooking, ash cooking, Dutch oven cooking… The recipes feature my cooking philosophy of using fresh ingredients to create beautiful and delicious food. Corporate Food Photography: I also do free-lance work with many companies. From ebook development to product photography, I do it all. Companies include Not Ketchup, Gourmia, and Cuttingboard.com. Press: You can read the reviews of my cookbook and my blog here. Represent your brand at an event or conference. Represented by The Lisa Ekus Group, LLC.